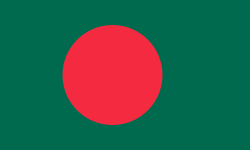 On April 24th, 2013 a building housing a garment factory in Savar, Bangladesh, collapsed trapping hundreds of workers, leading to the worst industrial garment accident in history. The collapse caused over 600 deaths, thousands of injuries, and millions of dollars in property damage. Many lessons can be learned from this tragedy on corporate crisis and disaster management, to say the least. As a leading corporate crisis management firm, the IMG Group would like to share our perspective on this terrible tragedy. While the cause of the Savar Building collapse is still unclear, it appears that the building was never built to be an industrial garment factory. The structure was originally meant to be a shopping mall and was not designed to withstand the constant vibration of large electrical generators and thousands of sewing machines. Yet, this calamity could have been avoided. One day prior to the collapse, the building was evaluated by inspectors who recommended that the facility be evacuated immediately. That this recommendation was not followed suggests heinous negligence by the owners and management. Primark, a British retailer, has admitted that one of its suppliers was located in the collapsed Savar building. Benetton and Wal-Mart are also reported to have suppliers there, however, these allegations have not yet been substantiated. Even so, as the investigation proceeds there is little doubt that other corporate brand names will become linked to this tragedy. In the wake of this disaster, many global companies are reviewing their policies in order to avoid suppliers and partners that harbor such callous disregard for the safety of their employees. Working with such individuals and organizations violates most firms’ corporate social responsibility and duty of care obligations. Additionally, being associated with a workplace disaster can have serious consequences for a firm’s bottom line, harming the brand’s image as well as exposing the company to costly litigation. The perspective of the IMG Group, a leading employee security and crisis management consulting firm, is to always look to the future. Corporations need to be good corporate citizens by thinking, in advance, about employee safety and security policies, including those of suppliers. Large corporations, in particular, can be held accountable for the acts of suppliers; events in China with respect to Apple Computer suppliers have also brought this home. Do we have a social responsibility plan or document? Have we investigated the safety and employee relations policies of our suppliers? What is our policy / strategy for dealing with different countries’ employee safety and human rights policies vs. those of our home country? In the event of a tragedy or crisis, do we have a crisis management plan to put into place? Creating a formal corporate crisis and disaster management plan is not easy. Upholding corporate social responsibility obligations, for example, can often be a challenge for large companies. Each Wal-Mart Supercenter, for example, sells 142,000 different products manufactured in countries across the globe. These products are supplied by thousands of different companies who, in-turn, have thousands of suppliers and sub-contractors. Imposing standards of workplace safety and duty of care on each and every one of these suppliers and sub-suppliers is a herculean task. It is made even more difficult as many of these suppliers are located in emerging market economies were corruption and poor government regulation are often the norm. Yet, doing nothing is simply not an option. History shows that firms can pay a heavy price for failing to meet their duty of care and corporate social responsibility obligations. Savar shows us that having a formal corporate crisis management and disaster management plan should be a top priority for any multinational corporation. An oil rig in the Gulf of Mexico explodes killing 11 workers and resulting in 4.9 million barrels of oil being released into the waters off of Louisiana, Mississippi, and Alabama. BP suffers massive reputational harm and pays over 40 billion dollars in damages. Fourteen employees at Foxconn plants in China kill themselves. The suicides are believed to be a result of harsh labor practices and low pay. The incident results in Foxconn giving a significant pay increase to all of its workers. Apple suffers some reputation damage because these suicides occurred at factories where the IPhone was manufactured. Nike suffers a series of allegations that it overworks and underpays its workers in garment factories in Pakistan and Cambodia. These “sweatshops” sometimes used child labor and forced their employees to work over 100 hours per week. Despite several initiatives by Nike to improve conditions, the company continues to suffer allegations that it uses underage workers and exploits garment workers overseas. A chemical gas leak at a Union Carbide plant in India kills over 2,000 people and causes the injury of tens of thousands more. As a result of the disaster, Union Carbide is forced to pay $470 million dollars in damages. The company’s then-CEO is still being pursued for prosecution by the Indian government.